Henry Sotherans are ringing in the New Year by taking another step forward into the digital age and are now live in the blogosphere! 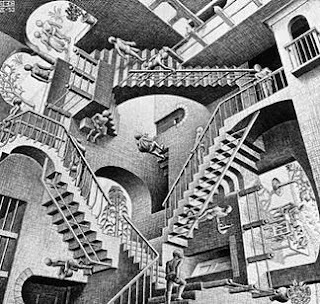 Follow us for the latest news on exhibitions and events, acquisition highlights, and whatever else we deem appropriate. REICHARDT, Jasia. 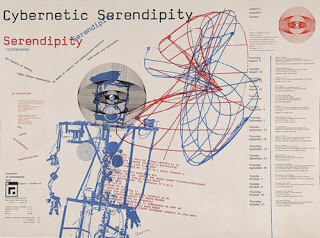 Cybernetic Serendipity the computer and the arts. January is proving to be busy - our latest catalogue History of Ideas is out at the end of the month. 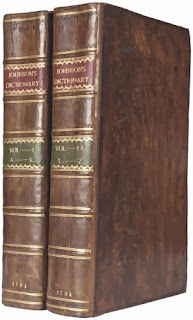 Covering topics as diverse as the use of computers in the arts (above) to the fifth edition of Samuel Johnson's Dictionary (the last edition to be published within his lifetime) (below) the catalogue includes a fascinating range of items dating from the 17th to the 21st centuries. In other news we are busy cataloguing our latest acquisition - a collection of important food and wine books from the library of the writer, businessman, and a leading member of The Food and Wine Society, Hugo Dunn-Meynell. The boxes are certainly keeping everyone busy - highlights to follow as we uncover them!